Every ingredient matters when making the perfect spell. What potion can you concoct that will turn itself into great riches. 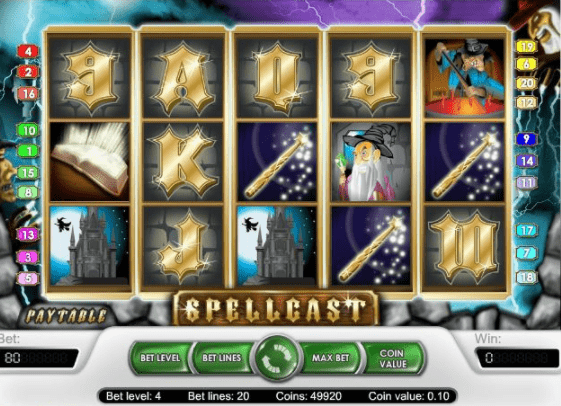 This mystical 5 reel slot uses realistic and enchanting spellbound graphics to enhance the user experience. Stare deep into the melting pot to discover free spins and scatter bonuses as you play the latest online slots. NetEnt was founded in 1994 and today they serve over 170 of the world's most prominent casino operators. Their developer team shows a lot of creativity in their innovative and engaging game design choices. They have collected several awards for their high-quality and unique games. NetEnt has been around for little over two decades and has provided extraordinary entertainment and quality video slots ever since. They offer flexible digital casino solutions, always adapting to the newest changes in technology. NetEnt offers a wide range of different themed games reaching a wide audience with it and you can take a look at these UK slots games online here. 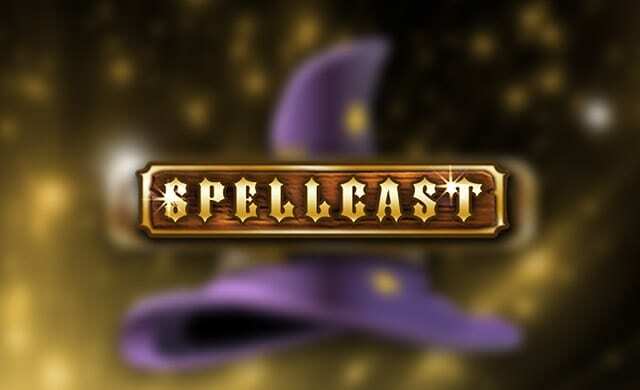 Spellcast is filled with wizards, potions, witches and witchcraft. Cast a spell and spin the reels! In the background, you will see a blue and purple night sky with a lightning storm going on. It looks wild and dangerous and reflects the ambience of this game very well. To the left of the reel you see a witch and in the right corner sits a wizard casting a spell. The soundtrack is spooky and will emerge you into the world of witchcraft. Make sure to visit our guide to help you play best slots now. On the 5 reels you will find the classic A, Q, K, J, and 10 in gothic-style characters but also magic related items such as a magical wand, an old book filled with spells, a glowing yellow potion, a dangerous-looking witch stirring a bubbling cauldron and a spooky mansion with a witch flying in the sky. If you encounter the scary wizard on the reels, you discovered the wild. In this game the wild will not have any extra features, it just substitutes every other symbol except for the scatter. However, if the wizard makes part of a winning combination his eyes will glow dangerously red, which adds an extra spooky feeling to the gameplay experience. Look out for the shiny blue crystal ball, it is the scatter of this game and will trigger the only bonus feature. If you land three or more of the magical crystal balls anywhere on the reels in the same spin you will earn fifteen free spins. During all of the free spins, your winnings will be multiplied by a generous 3x multiplier. To enter this world of witchcraft and magic you have to bet a minimum of 1p or, if you consider yourself somewhat of a high roller, up to 40 pounds. The game features 20 paylines and with the fifteen free spins, you might easily turn a spin very profitable. Spellcast is a simple online slot game but offers a nice spooky and exciting gameplay experience. This game is a good pick for the Halloween period of the year but if you are a fan of this theme it is perfect for any time of the year. The soundtrack adds a lot to the game feel and the free spins feature is a nice extra turning a spin very rewarding. Spellcast will emerge you into the world of witches, wizards and potions adding a little mystery to your day that you will definitely enjoy.